As you all know, the Ockel Sirius A and Ockel Sirius A Pro will be produced in three colors. So far, we only showed you the golden version. 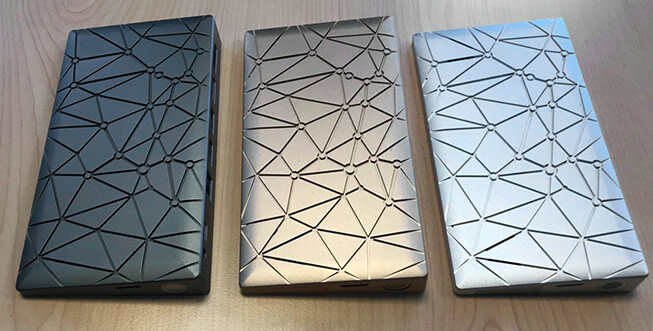 However, our engineering team has been busy working with many color palettes to match the anodized aluminum casing to the colors promised to you. Today we finally received the latest Ockel Sirius A samples, in all three colors. We are pleased with the result and these colors will be used in our first production run. From our backer survey, we know the dark gray color is the most popular, followed by gold and silver. We are happy to hear what you think of the colors. Feel free to share your thoughts in the comments section!